This entry was posted in Fun Stuff on February 24, 2017 by Steve Tilford. The American Birkebeiner ski race is supposed to be held tomorrow. I think around 10,000 people ski there. But, with all the warm weather we’ve been having, it has made the event questionable. Plus, it has been raining some up in Northwoods and that kills the snow. It is supposed to snow some today. But it is probably too little too late. There is some standing water on the trail, which the Chris Campbell and his crew are removing, but when you remove standing water, that means there isn’t much snow. They are hoping to run a race from the new start area to OO, which is about half the distance of the normal race. I think they are going to be making a decision on that today. It looks like it is snowing there now, but they also have lots of other concerns, which might not be fixed by some snow. Like parking for 10000 skiers and such. I have a bunch of friends that ski the race. I’ve done it a couple times, but not for a long time now. 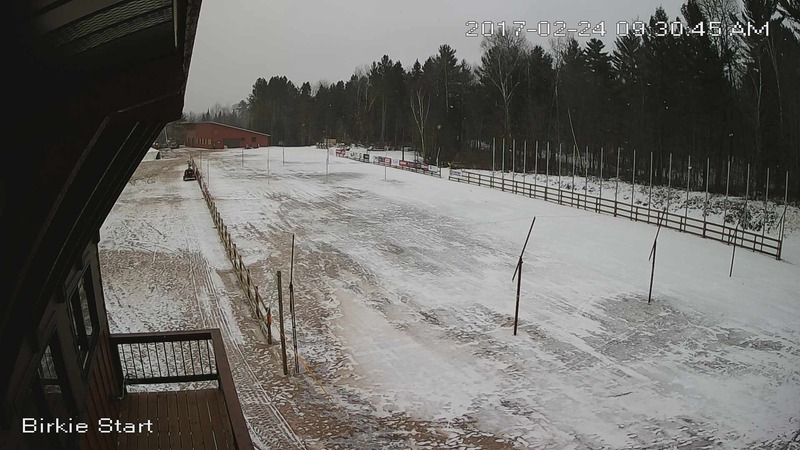 It is a super event and I feel badly that all this nice weather in the lower Midwest has created havoc for the Birkie. Okay, updates on trail conditions are here. Let’s cross our fingers. Picture of the start area. Dang. I registered for the Birkie this year. First time in about 20 years. We just received 12″ of snow in Rochester, MN with more coming. We have a fat bike race here tomorrow so I now plan on staying here for it. It should be interesting. 32 miles. Could be a really long day. Global warming is fake news. Not every glacier is retreating. They found 1 in Patagonia that is growing. I like glaciers that grow. Not loser glaciers that melt. SAD! It isn’t just melting polar ice caps, mountain glaciers are melting too……it doesn’t really matter where the melting is happening if it’s causing the sea level to rise.